We hope that all of you had a great time and celebrated the end of the year with your families and friends. While this period is often associated with delicious food, the long break has left many of us hungry for some epic eSports matches. Fortunately, our hunger is about to be satiated, as the Wargaming.net League will finally restart on 12 January, at 19:00 CET. For now, let’s start 2016 with some appetizers. 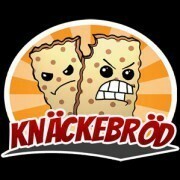 Knäckebröd will be perfect for that - they are one of the revelations of the Wargaming.net League Season 2, 2015-2016. These guys are not made of wheat. One teaspoon of pure skill, three teaspoons of hard work, a pinch of serious commitment and one half-litre of strategic thinking. You mix them all together, put them 10 minutes in a pre-heated map like Prokhorovka and they will do wonders. The toppings can vary, but Knäckebröd is notably delicious with a STB-1 or an Obj. 140. Matej "Crux" Koleják Captain. 72% winrate, 3600 WN8. "Hello. I am Matej "crux" Koleják and the team captain of Knäckebröd. I have been playing World of Tanks since closed beta and the Wargaming.net League since its first season with the team Dragonborns (Odem Mortis) and later Kazna Kru. With this experience, I wanted to create my own team, taking the best from these teams and adding something I believed they were missing. As "Tarantula_xD" had the same idea, we decided to create the team together. We were a little bit surprised with our initial success in the Gold Series, but we are also confident in our abilities, so we are looking foward, with great expectations. We have a great team spirit and despite not being the most consistent team, we find ways to overcome our difficulties. We have many different (and sometimes challenging) personalities, but when push comes to shove, we always pull together." 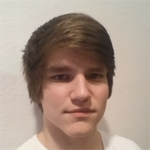 "I joined my first ESL team, "Vae Victis", after having played almost only random battles for a year and a half in spring 2014. At the beginning I was just a substitute, but that changed once we started playing in the Silver Series where I got to show my strengths. After over a year of playing together, I left the team with many other now Wargaming.net League players. After a few months without tournaments I joined Knäckebröd. We started in the Bronze Series, qualified for the Silver Series, and got to Gold via the relegation brackets in our first season as a team. 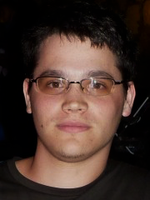 Besides playing World of Tanks, I like skiing and watching American Football." "I was always more of a team player than a lone wolf, even before World of Tanks. Coming from a background of competitive games - although I never played on a professional level - I quickly became interested in the team-oriented side of the game. Back then that was primarily Tank Companies. Later I took part in various competitions, like Clan Wars, Team Battles, Stronghold, WG Tournaments – and at some point ESL. From the second Clan Wars campaign on I was also very active as a Field Commander, and in the spring of 2015 I became the Commander of clan IDEAL. In Knäckebröd I am responsible for developing tactics and making calls in-game. In everyday life I'm a student of philosophy. When I'm not playing tanks, I like to build and fly RC model aircraft. If you are new to Field Commanding you can check out my FC-Academy on the official World of Tanks forum!" "Before I started playing World of Tanks in May 2011, I mainly played games like Warcraft 3 and Counterstrike 1.6, never in a high level league like the ESL Pro Series, but always with high ambitions. Even though I had already played in some World of Tanks ESL teams, my transition to the WGL EU wasn’t planned, it just happened spontaneously – It’s already a great experience. Besides being a player for Knäckebröd, I also try to be active on social media, doing graphics and keeping it up to date. 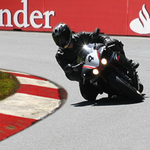 In “real life”, I'm a mechanical engineer who loves to ride motorbikes and mountainbikes, especially on racetracks!" Coming straight from the Silver Series, these tough crackers made an astonishing appearance in their first Season in Gold, devouring Penta, Ding, Utopia and Rusty Roster with a gluttonous appetite! Their only defeat so far was against Kazna Kru, and even then, it was a close call (3-5). Their performance can be explained, in part, by the presence of some experienced players amongst them, but not only. Their success is really a combination of talent and hard work. At the beginning of the season, our publication raised the question: “Are they Champion material?”. While it’s still too early to say for certain, with your support, they may just be on the way to prove it. versus Wombats on Tanks: 14 January at 22:00 CET. versus Out of Range: 21 January at 20:30 CET. 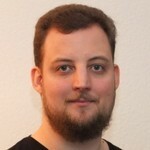 versus Tornado Rox: 26 January at 19:00 CET.